Grown-up Me traveled to a conference in Nashville last week to speak to a national gathering of women bloggers. I smiled with confidence and prepared to meet, greet, and tweet. Then I noticed the conference sponsor — a frozen food company introducing a new product — and Grown-up Me disappeared. A small child stood in my place. As the Little Girl Me, I felt the business clothes hang loosely on my youthful frame and my small feet wobble in the heeled shoes. I stared at the compact packages of frozen meals as the stage and podium turned into the cold dining room from my past. Again, I was a sad girl in need of comfort food that never came. I grew up eating frozen dinners on disposable aluminum trays that provided exact portions of mixed vegetables, a meat concoction, manufactured potatoes and bland apple crisp or a meek cherry cobbler. 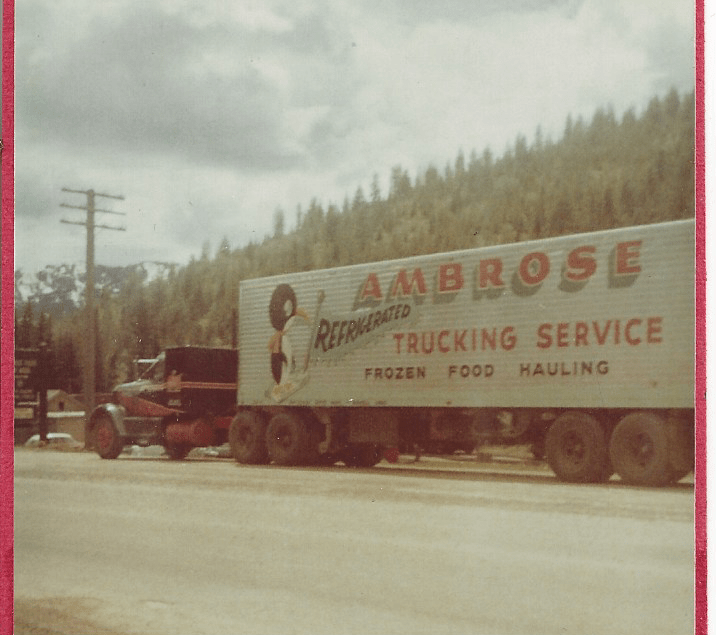 My father was a stern, successful workaholic who built a trucking empire in the 1960s hauling frozen food and TV dinners throughout the Northwest. He was gone during the week, driving trucks from California to Montana, then back to California. He’d stop by our house in Idaho and leave a box of frozen dinners. And then he was gone again. My mother dutifully heated and handed the aluminum trays to her children, and we ate in silence. As a stubborn girl, I defied the orderly presentation and pushed the wrinkled peas into the potatoes and plopped the dessert onto the meat. It all tasted the same, anyway. As we consumed our meal, I wondered how it would be to live in a place of warmth, peace and laughter. I longed for a hearty homemade meal shared with a happy family, so I made it my mission to have that scenario. You can relate to my story if you spent your childhood sitting silently around a table in a cold room, chilled from within, following a predictable pattern that would repeat for years. As a young girl, I vowed to someday come in from the cold when I had a family of my own. Decades later, I finally realized my childhood dream of living in a warm, loving home full of laughter. Challenges remain, as in all situations, but my table is covered with home-cooked food and surrounded by contented grown children and giggling grandkids. You are not disposable. Just as the trays from frozen dinners were tossed into the garbage, I often felt unwanted during my childhood. After I left home and financially supported myself, I felt the first taste of freedom. I finally mattered, and my skills were worthy of a paycheck. You can create your own path. My adult journey often was treacherous as I took risks to find a better life. I stumbled, fell and had to start over several times. But, I always stood, brushed off the dirt and kept going because I knew what I didn’t want and what I wanted. I worked at several jobs and found better ones. I attended cooking classes and registered for cooking tours to visit other cultures and learn how to make special dishes. I earned enough money to purchase quality plates, silverware and glasses that weren’t tossed into the garbage after every meal. I married, divorced and remarried and finally found my forever love. My children survived many meager meals while they were young, but we survived together. After many years of trial and error, we finally got to enjoy dessert. You can envision and achieve your goals. My desire to provide and enjoy a warm home was fueled by the vision of a festive holiday table. Over the past few years, I’ve dined at such a table and thankfully watched my adult children and grandchildren laugh, tell stories and barter for the last piece of pie. Then my husband will offer a toast, and we’ll raise our glasses in celebration. This spontaneous merriment often leads to multiple toasts. Your parents had struggles, too. I didn’t get along with either of my parents, and we were all happy when I finally went away to college. Looking back, I have developed a new empathy for them. They did the best they could as they battled health, economic, and relationships issues. They have both passed away, and I regret not trying one more time to kindle a small spark that would have bonded us together. As their legacy, I will honor them with positive thoughts and not dwell on sad memories. Acceptance is liberating. 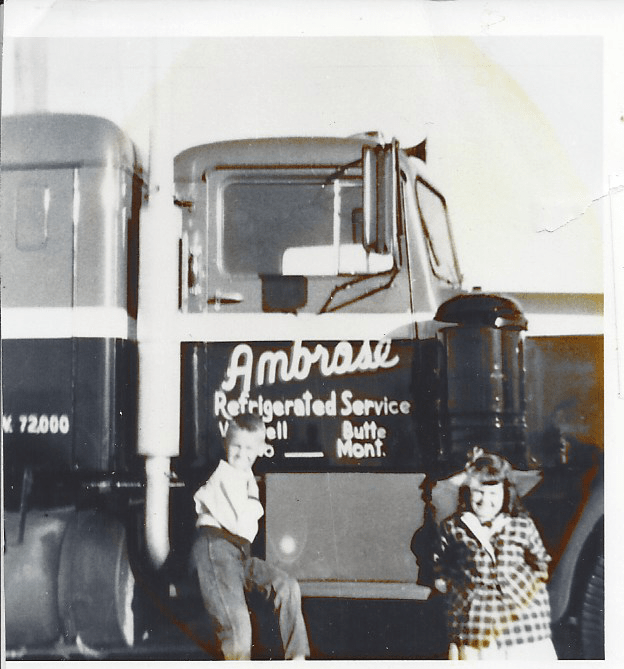 Now I have the maturity to appreciate the work my father did to advance his business success and support the family. But the wealth came with a price. Every mile he drove, he purposely placed distance between himself and his family. Even after he stopped driving and had accumulated the resources to buy more trucks and hire other drivers, the house remained cold. I used this experience to motivate my own search for emotional and physical nourishment. Family mealtime is an important ritual that forms the basis of childhood memories. Successful dinners don’t need to be cooked from scratch from original recipes. Frozen entrees are a handy substitute after a hectic day and the family needs to eat before midnight. A home-cooked meal or a microwaved dinner can be the centerpiece of an abundant family feast; it all depends upon the warmth in the room, not just from the dish. Back at the conference in Nashville, Little Girl Me held out my hands and accepted the offering of warm macaroni and cheese cups from the representative. Grown-up Me smiled and said, “Thank you.” You can’t go wrong with macaroni and cheese, the proven comfort food. “Frozen Dinners” is now just a metaphor, a birthmark that someday I will turn into a memoir.